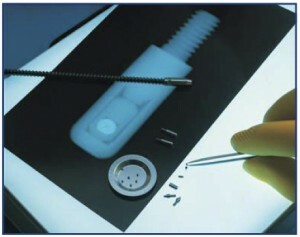 The SENTINEL range of double encapsulated special form sealed source assemblies caters to most industrial applications using gamma radiography. A choice of isotopes provides solutions for the widely varying requirements demanded by different materials and site conditions. Sources with outputs ranging from less than one curie up to several hundred are available – all precision constructed to ensure the highest possible specific activities and the smallest focal spot sizes. Source exchange is available as a service either on-site or when source projectors are returned to SENTINEL for inspection or overhaul. Sources can be shipped in the source projector or in a suitable returnable transport container. Selenium-75 sources are available in cylindrical and quasi-spherical focals, permitting shorter SFDs and greater sensitivity on fixed geometries. Irridium-192 sources are constructed using iridium metal discs or pellets of uniform size in a welded stainless steel capsule. 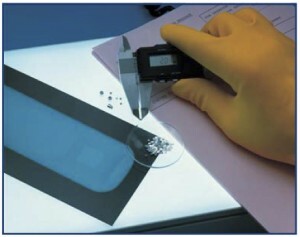 Cobalt-60 sources are constructed using compression fused cobalt metal pellets confined within welded titanium and stainless steel capsules. Ytterbium-169 sources are available in spherical and right circular cylinder focals, housed in a welded titanium alloy capsule. *Selenium-75 and Iridium-192 use the 650L Source Charger, while Cobalt 60 uses the 770 Source Charger. **INC-IR100 uses Source Model #88703, and SPEC-150 uses Source Model #96901. Source holders offered by SENTINEL include a comprehensive choice of designs which match original equipment manufacturer specifications and are fully compatible with most current makes of gamma radiography projector. The patent connector design is constructed from hardened steel and manufactured to critical dimensional tolerances. 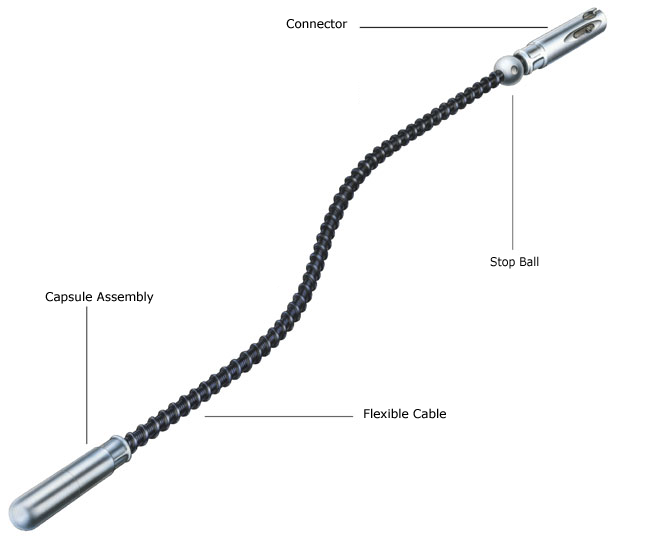 The force of the integral stainless steel sprung plunger is tensioned precisely to always provide a secure and positive connection to the control drive cable. The assembly, swaged to the teleflex cable, has an unmatched record of safety and wear resistance in the industrial radiographic industry. The stop ball, made from stainless steel, is precision drilled, accurately positioned and secured in place with three point high pressure swaging. Precise positioning of the stop ball ensures that the source can be accurately and safely stored within the projector. Sources capsules are constructed using either stainless steel or titanium alloy hermetically sealed by tungsten inert gas fusion welding and finished to exacting standards. 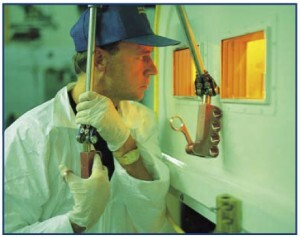 Every capsule is subjected to a series of quality inspection tests to ensure weld integrity and uniform wall thickness. The source capsule is securely attached to a distortion and fray resistant teleflex cable by swaging under high pressure. The resulting bond is tensile tested for optimum strength well beyond normal operational limits. The teleflex cabling, consisting of spiral wound flexible steel, has proven to be consistently durable and reliable over many years of use.